The Arthritis Foundation in the UK has recommended olive oil to help decrease joint inflammation caused by arthritis. The benefits of a Mediterranean diet have long been extolled by arthritis researchers. A study from the Cochrane Collaboration in 2009 found that olive oil and the Mediterranean diet may reduce pain following a 12-week trial. Carol and Tony O'Neil of Cradle Coast Olives during harvesting at Abbotsham. Picture: Chris Kidd. 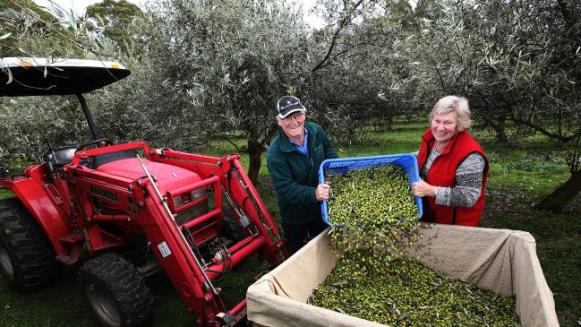 It is a case of both quality and quantity for Tasmanian olive growers as they begin to harvest what is shaping up to be a bumper crop in some areas. After low-yielding crops last season, growers are happy to see large amounts of fruit on the trees this year as harvest starts across the state. 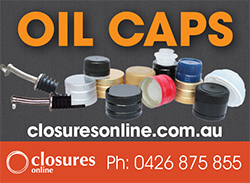 National IPDM Field Days: Round 1, NSW – have you diarised yet? The program will continue with events in WA in September; QLD, VIC and SA in November; and TAS in December. Dates and locations will be announced in July. Registration for the full-day Rylstone Field Day/IPDM Workshop is now open: numbers are limited to 40 per event, so reserve your place quickly - keep a look out for an e-notice with event details and registration links from the AOA next week. Regional notes: differing olive oil qualities offer a trace back to region of origin. Queensland olive oil has been shown to present its own identity and qualities in an Australian-first study partnership. 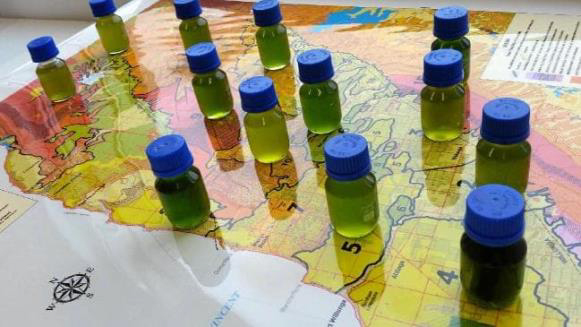 In a project funded through the Farming Together program, Queensland-based Olive Centre CEO Amanda Bailey and SA olive oil expert Dr Richard Gawel undertook the analysis focusing on two health-giving components, phenols and an important bioactive, squalene, in oils from Frantoio-variety olives. 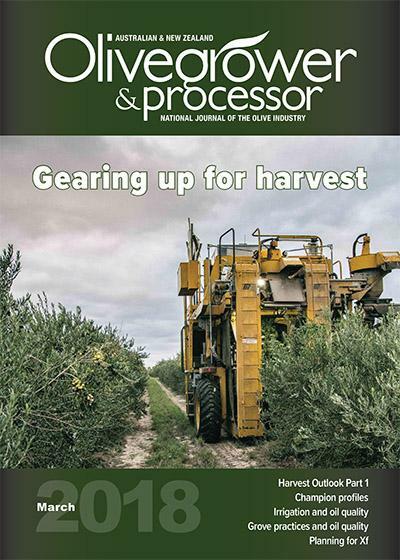 You can read all about the study in the coming June edition of Olivegrower & Processor, on its way to letterboxes now. Not a subscriber? You can fix that here . Time is running out to participate in the national Industry Pest & Disease Management (IPDM) Survey. This important industry initiative is an integral element of the levy-funded R&D industry IPDM project, providing information that will guide the scope and activities of the project, including the upcoming national IPDM Field Day program, commencing in July. Taking part is quick (17 mins average), the questions are straightforward and easy to answer, and all responses remain anonymous, so please click through and add your input now. Thanks to all those who have already responded, and if you haven’t, please use the coming weekend to click through and complete the survey. Hort Innovation is seeking an olive grower or olive industry member with a background in nutrition or health marketing to join a reference group for the Olive Wellness Project. This is a great opportunity to play a part in guiding the direction of this valuable initiative, which provides fact-based, peer-reviewed research and information on the health and wellness benefits of EVOO and olive products to health professionals and other stakeholders, and provides a wealth of resources for producers. Anyone interested and with the relevant experience is invited to email a brief CV to Will Gordon at will.gordon@horticulture.com.au with their contact details. 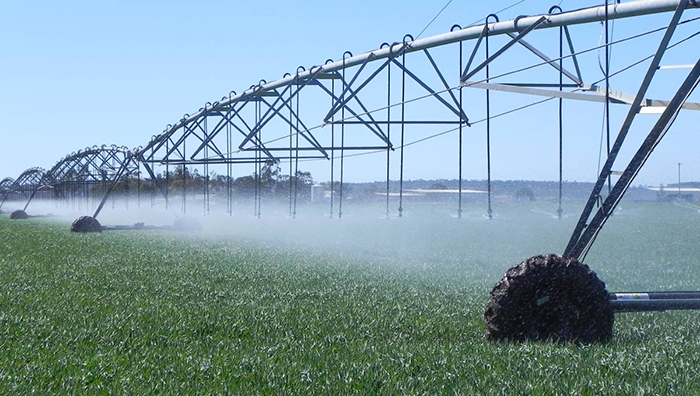 Irrigators in the Murray Darling Basin can apply for funding through the Commonwealth On-Farm Further Irrigation Efficiency Program for irrigation infrastructure upgrades and other on-farm water efficiency activities. Funding will be up to 1.75 times the advertised water value, with $35M available. A pilot has been launched for SA, with a total funding pool of $15M. Project proposals can be submitted until 13 September 2019. More information here. Online applications for the 2019 AgriFutures™ Rural Women’s Award open on Monday, 3 September and close on 31 October 2018. Aimed at identifying, celebrating and empowering women, the Award provides each state and territory winner with a $10,000 bursary for innovative ideas and projects, access to professional development opportunities and alumni networks. More information here. One year after a damning review suggested that many published clinical trials contain statistical errors, The New England Journal of Medicine (NEJM) today is correcting five of the papers fingered and retracting and republishing a sixth, about whether a Mediterranean diet helps prevent heart disease. The good news … it does, with olive oil among the top foods with a “net positive on heart health”. Buying olive oil seems to be fraught with more danger than it needs to be. You have to consider which type you get, where it’s from, why something can be “extra” virgin, how it was pressed, and how long it was sitting on the store shelf — and that’s all before it gets into your home where you have to be careful where you store it and for how long. Freshly processed benchtop EVOO in 45 mins – yes; using vac-packed olives up to a year old – hmmm. Arthritis pain is common and typically affects people over the age of 50 in the knee, hip and hands. There are treatments available to control symptoms, and some studies suggest making dietary changes can reduce damage. While some fats are essential to a healthy eating plan, others may increase joint inflammation. It’s no surprise that olive oil is not among them – and is listed as the better choice for those with arthritis. 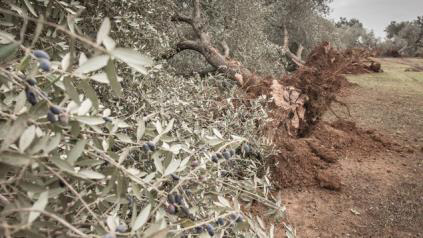 The European Commission labeled as “unacceptable” on Wednesday the United States’ conclusion that Spanish olives should face import duties because they are being sold far too cheaply and benefit from unfair subsidies. Among the trends are “food for prevention”, particularly for heart disease. What is the plant-killing Xylella and how can gardeners stop it? As the RHS bans a list of plants from its garden shows because of the risk of Xylella, Hannah Stephenson looks at safer alternatives. Good to see proactive advice for the ‘average Joe’ in the battle to control Xylella. If you find yourself with relentless skin conditions, including acne, irritation and itchiness, there may be more you can do than simply look for topical treatments. One of the dietary elements recommended for skin health is, of course, olive oil. After a seven-year stint with Pacific Sun Farms, miller Pablo Voitzuk has left the company. 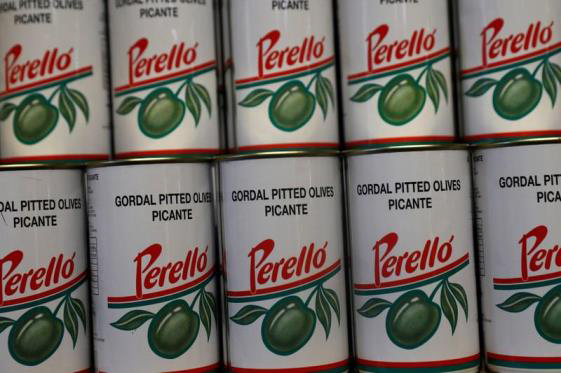 His departure comes after another successful award season for one of California’s most acclaimed brands and the decision by the company to wind down their olive oil business.